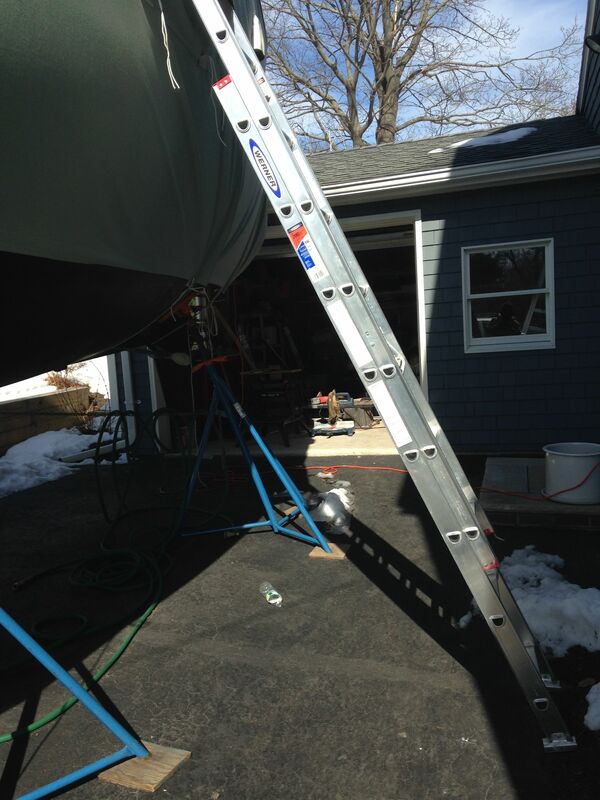 Most non-obsessed owners put their boats away over the winter. From the fall to a reasonable point in the spring (mid-April?) the boats are covered, stuffed in a boat yard somewhere and remain untouched. The better heeled crowd may have their boat stored inside at reputable yard where pros may be doing larger projects. 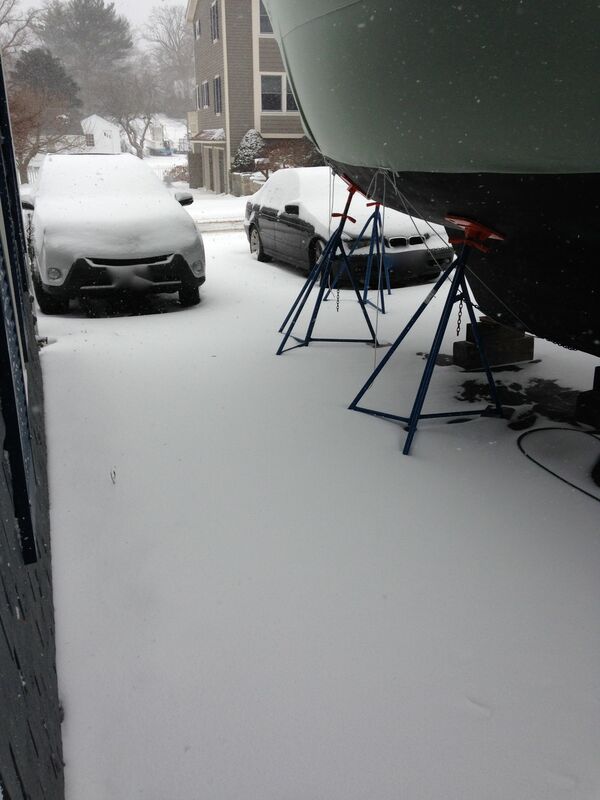 For me working on the boat is therapy year round so no reason to stop when others head for Florida or the ski slopes. I am lucky because I have the boat stored on my property (actually my driveway), I live in a town where this is allowed and acceptable (I am sure some of my neighbors are like WTF) and my wife lets me keep it there. Also, I can do it because I drive a car with a low roofline and have a boat with nice bow overhang. So the car goes under the boat about six feet, fitting like two puzzle pieces. The boat stays plugged in with the battery charger on float and a few small space heaters are at the ready for when a project starts calling. Yes, you do get strange looks from the neighbors when they see you on the ladder climbing in during a snow storm. Using the heaters I can get the cabin warmed up for general work. I have also done some epoxy/glass work by keeping one of the heaters focused on the work area until the epoxy is completely set (10-12 hours). Today was a good example. Relaxing Saturday – I wanted to get a few hours in on the autopilot project. Patagonia thermals under the work pants, thermal socks and heavy hoodie pulled over a winter hat. Put a heater down in the aft lazarette and I am ready to go. This entry was posted in Uncategorized on March 2, 2014 by Boat Nut.